This can happen with overloaded servers. 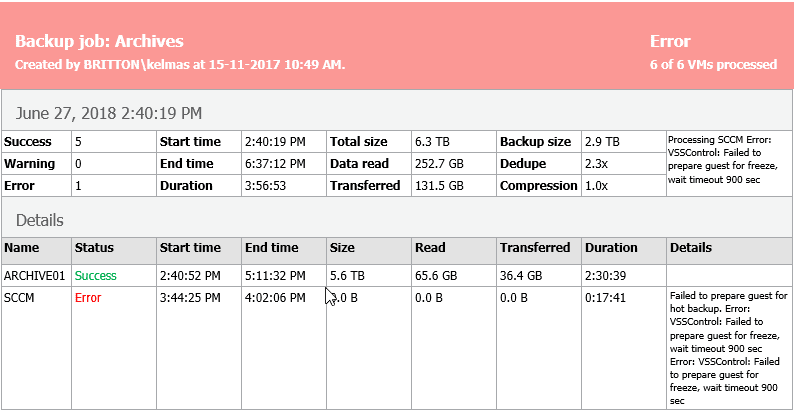 When the server you're trying to backup is a busy or handles a lot of services at the same time, the Veeam backup server times out to take a snapshot. 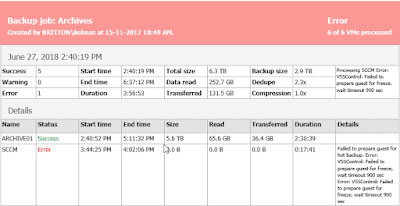 The solution involves increasing the timeout value for the VSS on the Veeam server. The default value is 15min and usually you can get around this issue by increasing this value to 30min. Logon to your Veeam server and start "Regedit"
Find the registry key "HKEY_LOCAL_MACHINE\SOFTWARE\Veeam\Veeam Backup and Replication" and add a new DWORD (32-bit) key with the VALUE "180000" (30 minutes) Decimal. Go to "Services.msc" and restart the "Veeam Backup Service" service and try again to run your backup job!